As painful as it is for me to write this, I basically agree. Painful not just because agreeing with others is against my nature, but because I love buying individual stocks. Few things are as much fun. 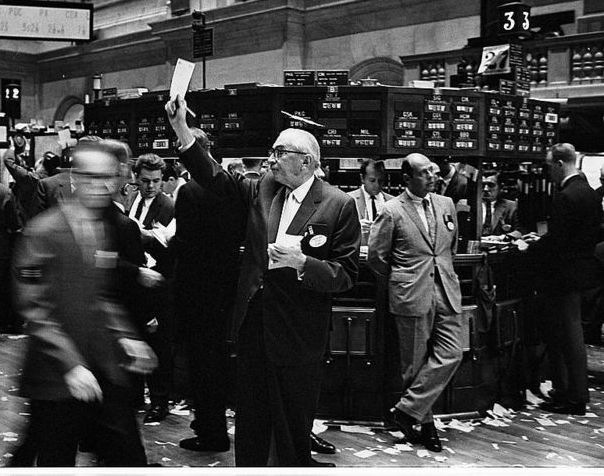 The stock market is an ever-changing universe of stories, ideas, and theories of the future where I can match wits with other participants and actually bet money on the proposition that I am smarter than everybody else. Awesome. But I am a professional. I trade stocks for a living. (Or at least I used to, before, uh, certain unfortunate developments.) You, I am assuming, are a productive member of society with a job producing a thing or service of value. Just to be clear, I have no problem with you investing in the stock market, just with picking stocks. A non-professional should invest in an index fund, essentially buying a tiny bit of every stock in the market. That will give you the market’s average return, which over long periods has been shown to be pretty good. In order to decide to pick stocks rather than invest in an index fund you would have to either a) believe that you were a better than average stock picker or b) realize you are not, but enjoy picking stocks as an expensive hobby. And when I say average, I mean a weighted average, weighted by how much money each stock market participant has. That means that how you compare against other amateurs is meaningless, as collectively the non-professionals account for only a very tiny fraction of the trading. To be above average, you need to be better at it than the average person who does it for a living. Statistically speaking, that’s unlikely. (And would imply a poor choice of career on your part.) Further, even if you are more talented than the average pro, the pros have some advantages you don’t, such as access to better computer systems and lower brokerage fees. Then again, I am serious about the expensive hobby thing. Picking stocks is fun and as long as you “bet with your head, not over it” and aren’t exceptionally bad at it, it’s not the most expensive hobby you could choose. It’s a wonderful game. Just don’t expect to win very often. Basically it seems he’s getting over involved; time and emotionally speaking. Any views on investing in the company you work with? All my individual stock picking is done in a virtual portfolio. Sometimes I’m up, sometimes I’m down. I’m proud to say I bought Citi before the rally this week and made a killing. But again, I don’t buy individual stocks on my own because I’d lose. My only view is the conventional one, that it is generally a bad idea to buy stock in the company for which you work because you already have so much of your financial future riding on its success. That’s not an iron rule, often the company offers its employees a special deal which can be attractive, and sometimes employees are paid in stock or options, which makes it unavoidable. You also may know that your company is doing well and will soon release good news about a new product or something. But that’s what we stock pros call a “felony”. Just found your site via GRS and I have to say I couldn’t agree with you more! A couple year’s ago, I started (well, read the first half, then got distracted/side-tracked/too busy) Benjamin Graham’s Intelligent Investor, and I believe this was one of the underlying themes of his book. Anyways, keep up the good work, and I’m sure ole B.G. would remind everyone . . . THE STOCK MRKT IS ON SALE, SO BUY THOSE INDEX FUNDS!! You’re only half right: professionals ALSO do not do better than average. Any study on the Efficient Market shows that ALL investors (“amateur” or “professional”) only beat the market as often as statistics would predict (i.e. dumb luck). agreed… even “experts” are no good at picking stocks. Once you understand that professional investors are practically the whole market then observing that the average pro has average performance is not much of a leap. But I don’t think that means that the only reason a manager does better or worse than average is luck. Luck is a big factor, particularly over shorter periods, but I believe that some managers really are better or worse at what they do than others. Warren Buffet has undoubtedly had some good breaks, but he’s got talent too. I like this idea because the stock market never made sense to me. Any advice on how to invest in an index fund or a simple readers guide? I looked up index funds and there were two options ETF vs mutual fund. And then it became more confusing from there. Perhaps this is why I was never too keen on the stock market. Thx.